Throughout history lightning has fascinated mankind. It was associated with early superstitions, myths and religions. 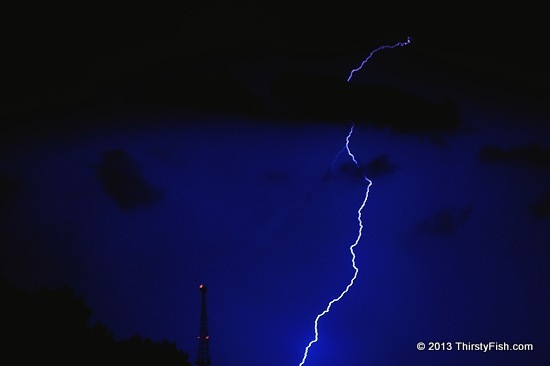 Ancient Greeks believed that lightning was the spear of Zeus, and where it struck was considered sacred. Scandinavian god Thor tossed lightning bolts at his enemies. In Hindu religions and Native American cultures, lightning is associated with great power and healing rituals. Lightning is a massive electrostatic discharge caused by unbalanced electric charges typically in cumulonimbus cloud. Almost 1.4 billion lightning flashes occur on earth per year. It is the most common natural cause of wildfires. Thunder is the sound produced by lightning. A lightning heard five seconds after the lightning roughly indicates the lightning is a mile away, or about 350 yards for each second of delay. Approximately 24,000 people are killed and 240,000 are injured due to lightning strikes every year. Those who know me know that I have a peculiar connection to lightning.